10Best Readers' Choice Travel Award for Best Gumbo in Louisiana. 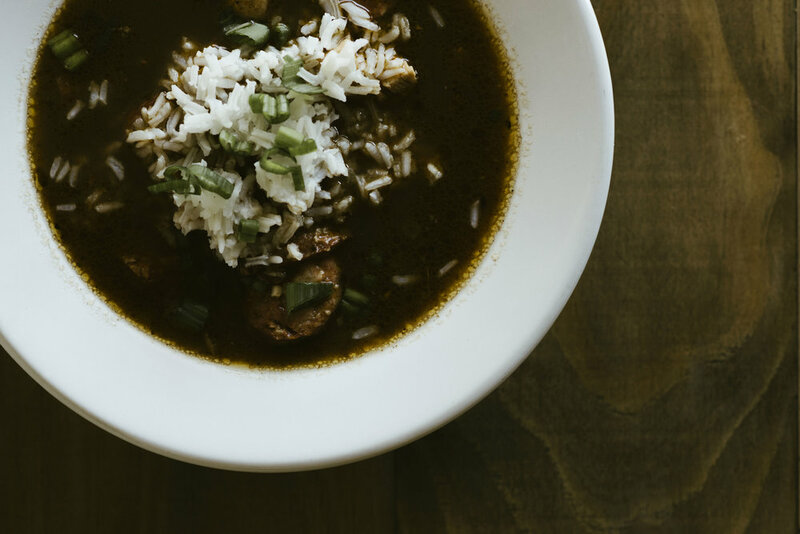 BATON ROUGE, Louisiana – Eliza Restaurant & Bar was named as a top three restaurant in the USA TODAY 10Best Readers’ Choice Travel Award for the Best Gumbo in the State of Louisiana. Eliza Restaurant is the only Baton Rouge restaurant to be nominated in the contest among iconic Louisiana institutions such as Antoine’s and Mr. B’s Restaurant in New Orleans. Nominees for all categories are chosen by a panel of relevant experts which include a combination of editors from USA TODAY; editors from 10Best.com; relevant expert contributors; and sources for both these media and other Gannett properties. Twenty restaurant nominees were announced on January 28 across all relevant USA TODAY departments and through Gannett media outlets. The contest was then open to the public for 4 weeks of digital voting, which ended on Monday, February 25th. On March 8th, winners were announced and Eliza Restaurant landed in the #3 spot out of a list of 10 final Louisiana restaurants, comprised mostly from the New Orleans area. Opened in 2016 by Russell & Sally Davis, Eliza has become a neighborhood favorite among locals for their warm Southern hospitality and authentic scratch kitchen menu. The Eliza Gumbo Ya Ya is a classic chicken and andouille gumbo made with a dark roux. “It’s been on our menu since the day we opened and has become the most popular menu item,” said Russell Davis, “We realized pretty quickly that our guests loved it." Founded in 2016, Eliza Restaurant & Bar is a cozy contemporary Creole restaurant serving local Louisiana food. After many years spent working in the hospitality industry in New Orleans, Russell & Sally Davis set out to open a simple concept in the Baton Rouge market - a scratch kitchen featuring Creole classics using fresh and local ingredients - all served with an abundance of genuine Southern hospitality.